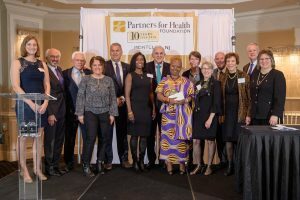 To celebrate its 10th anniversary, Partners for Health Foundation awarded 10 Community Impact Awards, and grants totaling $100,000, to recognize nonprofit organizations and individuals making a significant difference in the health and well-being of local communities. The awardees were selected from 65 nominations that cited contributions in areas such as hunger, homelessness, chronic disease prevention, oral health, and mental health. The awards were presented at a celebratory event emceed by Jim Axelrod, Senior National Correspondent for CBS News. 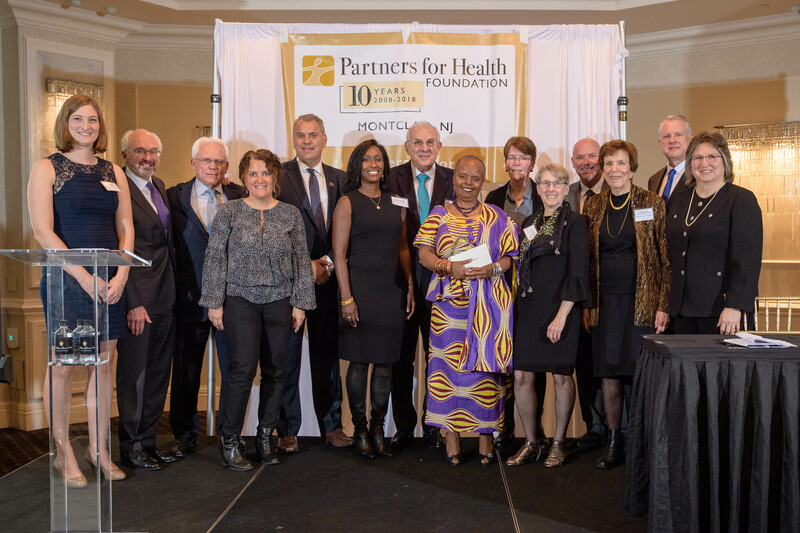 The Board of Trustees of Partners for Health Foundation also presented its 10-Year Anniversary Founder’s Award to longtime Board member Paul A. Lisovicz of Glen Ridge, who served as a Trustee from 2005-2015 and Board Chair from 2009-2013. The Founder’s Award recognizes an individual whose efforts significantly shaped the Foundation through commitment, innovation, professional expertise, philanthropy and overall leadership. Partners for Health Foundation fosters collaboration among nonprofits so that, together, they can increase positive health outcomes in the communities they serve. A key focus provides access to healthy food and physical activity as a way to prevent chronic disease. The Foundation also supports the issues of homelessness, aging, mental health, community safety and more. Since 2008, Partners for Health Foundation has awarded more than $12 million through 341 grants to 132 organizations.